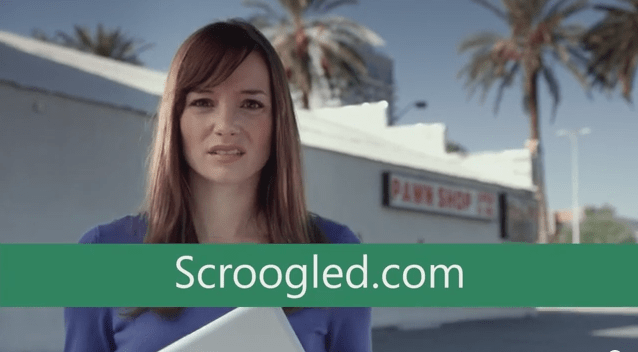 Microsft’s “Scroogled” campaign has become become one of the biggest, embarrassing jokes in the industry. Again screaming nothing but desperation and unprofessional competition. The ad shows a young actress walking into a famous “Gold and Silver Pawn Shop” in Vegas, with her Samsung Chromebook. She tries to sell it for a ticket to Hollywood but instead gets mocked and told she could probably get to Reno. The Pawn Stars crew highlights that it’s not a real laptop, doesn’t work offline and doesn’t have Office. We won’t even mention the long list of inferior Windows computers and the company’s history. If Microsoft is really willing to pay TV show Pawn Stars a fortune to make this advert it must mean they are feeling the pressure. Chromebooks are on the rise, and that means no good for a company who is used to ruling the PC market. You can trust in Microsoft not to be up with the times, the Chromebook is developing at a faster rate than they could ever wish their platform develop. I wonder now is Google will accept the insult like a Gentleman from an petulant child of if they might pick one the many, many flaws in Windows retaliate! And besides have Windows not road-mapped Windows 10 to be a Cloud OS? In recent years, online security has become a huge issue for casual computer users and businesses alike. While cybercrime can have a devastating effect on individuals, the effects on businesses can be crippling and even bring an organisation grinding to a halt, depending on the severity of the activity. While most businesses are aware of the huge problems that cybercrime can cause and have various types of security software and cyber security measures in place to combat such potential attacks, many do not have proper year-round cyber security coverage and monitoring in place, which could cause problems. Nobody knows if and when cyber security threats will arise, and without constant security and monitoring, the security of your business could remain at risk even if you do have measures in place. Many businesses carry out security testing on a periodic basis in the hope that this will enable them to avoid the risk of cyber threats. However, this actually leaves your business open to lengthy periods where threats could become an issue and new vulnerabilities could be introduced. This is why it is important to ensure that assessments are carried out on a more regular basis and security monitoring becomes a constant rather than periodic process. So what are the benefits of year-round cyber security coverage? Well, some of the key benefits include the following. Increased peace of mind: there is no doubt that cyber threats have become a huge issue and problem for organisations. 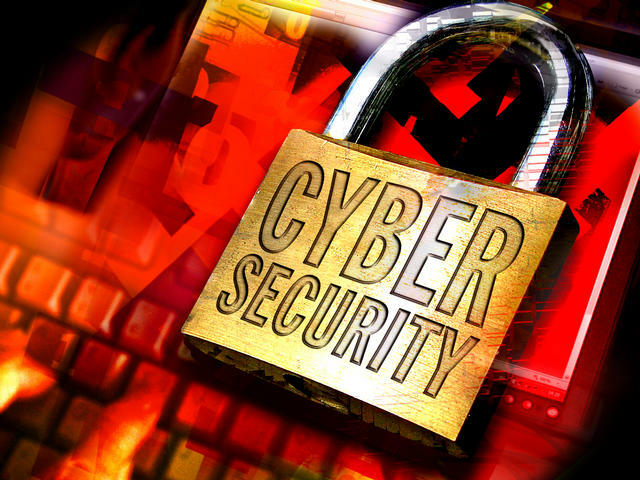 However, by ensuring you have access to year-round cyber security coverage, you can benefit from greater peace of mind rather than being continually concerned about the possibility of new vulnerabilities slipping through the net. Increased protection: the effects of cybercrime on businesses can be devastating, affecting everything from the running and finances of the business to the security of sensitive or even classified information. With year-round security, you can ensure your organisation benefits from increased protection, minimising the risk of falling victim to cybercriminal activities. Minimising on the risk of both external and internal breaches: with the right year-round security system, you can ensure your organisation is protected against both external and internal breaches, which means a heightened level of protection for your business. By opting for managed security services from professionals with expertise and experience in this field, you can ensure that your organisation’s cyber security systems are running at optimum levels at all times. The right provider can ensure you are protected against the ever-increasing threat of cybercrime. Choosing the right company to provide your managed security services means that you can benefit from rapid response to make sure that your network is always secure and protected. You can also benefit from the expertise, knowledge and skills of professionals to ensure that all of your company’s cyber security needs are met and maintained. You can find out more about managed cyber security services, here. Hot on the heels of our Sony Xperia Z1 review we have its big brother, the Sony Xperia Z Ultra. 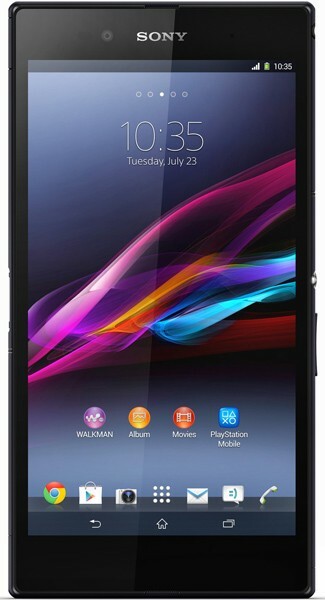 With its 6.4″ screen, the Sony Xperia Z Ultra is the largest of the ‘Phablet’ form devices to hit the market and just tops Samsung’s Galaxy Mega 6.3. However, unlike many of the other phablet devices on the market, the Z Ultra follows other devices in the range and is IP58 rated making it both dust and waterproof and able to submerge in water to a depth of 1 meter for up to 30 minutes. Making it possibly an ideal device for using in or around the pool when you’re on your holidays. At just 6.5mm thick, the Sony Xperia Z Ultra packs quite a lot in to its slim chassis. Inside we get a 2.2GHz Quad-core CPU, 16GB internal storage, 2GB RAM, 8MP camera and all of the usual bells and whistles in terms of GPS, WiFi, etc. As always, we’re kicking off with an unboxing and hands on video. Here you’ll see the hardware in more detail and I’ll show you what the OS/UI is like before running that ever controversial benchmark test. 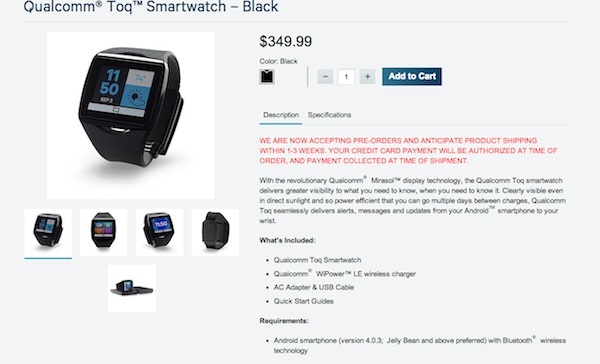 Today Qualcomm announced that their Toq Smartwatch is officially available for pre-order from their Toq Store with a $350.00 price tag attached to it. Available in black and white the Toq will ship in 1-3 weeks with the charges to your Credit card only taking place after the smartwatch has shipped. Unfortunately the wearable is not available internationally and we will; just have to wait. However, we are surprised at this price point, it’s more expensive than the Galaxy Gear. On the plus side, the Toq SmartWatch is compatible with most Android powered handsets, so you don’t have to worry about compatibly issues. If you are interested you can head on over to the Toq Store and check out all the details. Samsung have announced their latest big screen outing, this time a follow up to the Galaxy Grand, oddly titled the Galaxy Grand 2. Whilst not packing the raw horse-power of the Note 3 or the vast screen of the Mega the Grand 2 fits in between with a more reasonable price tag and eye brow raising specs. Samsung Electronics Co., Ltd. has today announced the Galaxy Grand 2, a device that offers an optimal large-screen experience on a portable, compact smartphone. 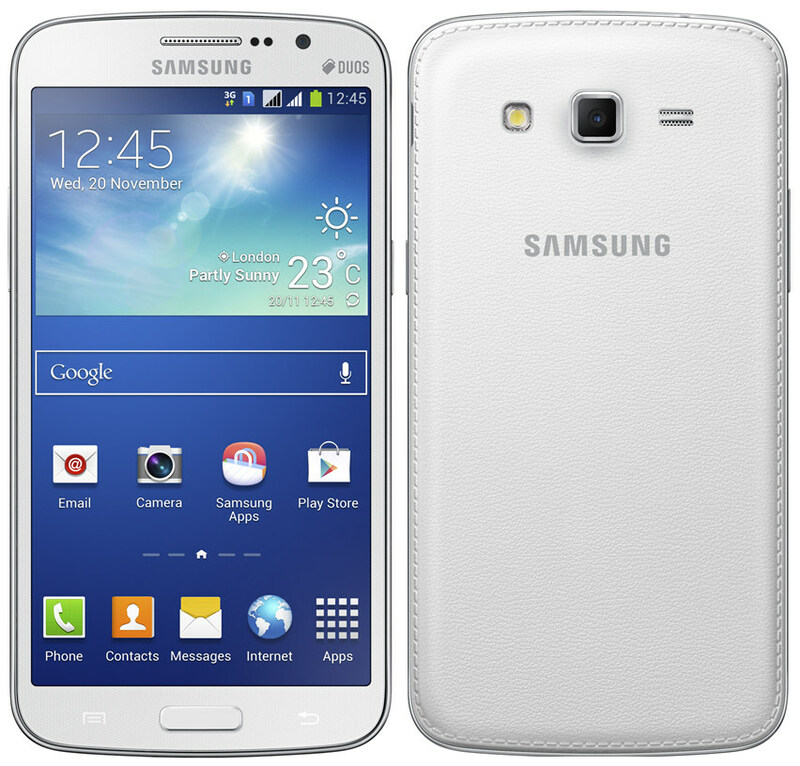 The Galaxy Grand 2 provides improved HD viewing experience, enhanced performance, and many other intuitive features. 1.5GB (RAM) + 8GB (Internal Memory) + microSD (up to 64GB) Memory ＊User memory space may be less than the total memory space due to system files. User memory may differ by region, carrier, and supporting language, and may change after software upgrade. 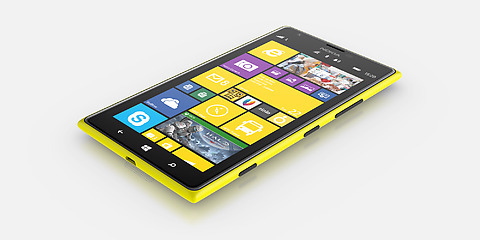 Nokia announces the UK availability of the Nokia Lumia 1520, its first smartphone with a 6 inch high definition display. Many of the UK carriers have already announced release dates and Carphone Warehouse is starting to take pre-orders for delivery on the 6th December. The Nokia Lumia 1520 will be available to purchase on contract from approximately £38 per month from O2 retail, Vodafone on-line, Carphone Warehouse, Phones4u and independent retailers via Micro-P from Friday 6th December 2013. London, UK – Nokia today announced the availability of the Nokia Lumia 1520 its first smartphone with a 6” high definition display. The Lumia 1520 takes productivity to a new level by seamlessly combining both work and play. Watching videos and playing games has never been more fun as with its stunning 1080p HD screen, the Lumia 1520 brings even the most sophisticated games to life. Accessing your favourite apps is now even faster with an additional 3rd column of user defined live tiles on the home screen. When it’s time to work, the Nokia Lumia 1520 really delivers, with Microsoft Office already on board and its Qualcomm Snapdragon 800 processor, viewing and editing documents and files on the move becomes simple, fast and intuitive. Backing up documents to SkyDrive is also simple with 7GB of free and secure cloud storage and as the Lumia 1520 also supports micro SD storage up to an additional 64GB you can be sure that every document edit is stored, even on the go. With its 20MP camera and ZEISS optics, Nokia PureView remains at the forefront of the 1520 experience. The 1520 includes Nokia’s latest imaging innovations such as Nokia Camera which integrates the most popular imaging modes – ProCam, SmartCam, and video – into one seamless picture-taking experience. These features are enhanced by exciting new applications such as Nokia Storyteller and Refocus. For the first time PureView imaging meets HERE maps with the launch of Nokia Storyteller merging the two signature Lumia experiences together. Re-live memories in a new, dynamic, and interactive way that integrates pictures with HERE location information into a chronological photographic journey on a map. Zooming out of a picture reveals tagged points of interest and contact information, user reviews and even driving directions. Viewing the images on the map makes memories truly come alive with auto playback of video, animated images and sequential movement in a still picture. The Nokia Lumia 1520 will be on sale from O2 retail, Vodafone on-line, Carphone Warehouse, Phones4u and widely available from independent retailers via Micro-P from 6th December priced from approx. £38 per month on contract. Namco Bandai has decided to bring Soul Calibur to Android and this is one of the more popular ones out there in the fighting genre. This release is the original Soul Calibur game and comes with the full 19 character roster to play as. All character moves faithfully recreated! A new virtual game pad that has been fine-tuned specifically for fighting games. Yup, they are at it again. In the Apple Vs. Samsung trial that is never ending, Samsung has called the whole thing into question based on the testimony from the Patent Office which suggests that the pinch-to-zoom feature Apple has been eager to defend may not even be legitimate. The Patent Office’s statement regarding patent no. 7,844,915 doesn’t invalidate Apple’s claim; it is just that the company will need to provide more evidence to support their claims. The retrial picked up last Tuesday to decide specifically how much Samsung owed Apple, given that a previous jury had already declared that infringement had, in fact, taken place. Regardless of how the jury is swayed this time, next year a new patent trial between the electronics manufacturers will kick off – starting the slap fight all over again. I can’t help but think the only people who will profit out of this ongoing wrangle are the Law firms attached. I got my hands on a new Kindle Fire HDX 8.9″ a few days ago and you may have seen me experiencing some issues with connecting to the App store during the recording of my Kindle Fire HDX 8.9″ unboxing video. Since then I have been really struggling with the HDX. 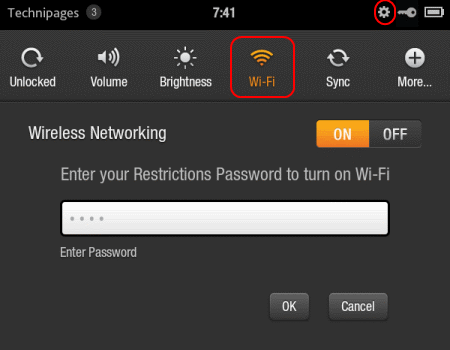 Despite its dual-band dual-antenna WiFi, it’s consistently dropping its WiFi connection and even when it reports connected to WiFi the connection is either poor or non-existent. Now, it’s entirely possible that I just have a faulty unit and my Kindle Fire HDX WiFi issues could well be just a fluke. However, Googling for WiFi problems on the Fire HDX does yield rather a large number of results and there seem to be quite a few people out there with the same problem. Helpfully, one site suggests downloading the latest firmware for the Kindle and whilst there is a System Update available for my HDX, guess what, I can’t download that without an internet connection! So as it stands, the Kindle Fire HDX 8.9″ may well be a super looking, light and powerful tablet with an incredible screen, but I’ve so far been able to do very little with it. Obviously I’ll be speaking to Amazon support about it and will report back, but if anyone else out there has the same problems and better still knows the solution, I’d love to hear from you! Google are busy as always tinkering with their massive array of products and we are going to have a quick look at what has been modified, moved and removed from Google’s catalogue. The Nexus 5 is out, most of us are on Android 4.4, is Google sitting back and having a rest? Nope. Google has recent made small alterations to their Chromecast app. It’s still the configuration app for the Chromecast HDMI stick, however, the recent update is easing navigation, improves time zone display, displays the Chromecast MAC address and fixes a crash when launching device settings screen. We have seen a roll-out of some previously announced changes for the Google Play store that are said to make it even easier for tablet users to discover apps and games – designed and optimized for Android tablets. However, unlike Google’s integration on Google TV, where users only see for Google TV developed apps, in this case Google is first presenting tablet optimized apps by showing tablet users a “Designed for tablets” section as the default view in top lists. We can say goodbye to Google Play Magazines and the beastly Google Play Currents Android apps. With Google Play Newsstand users can discover more of the news and magazines they care about, all in one app for Android tablet or phone. It displays breaking news and in-depth articles featuring audio, video and more. From sports, business, cooking, entertainment, fashion and more – Google Play Newsstand offers both, free and paid news plus the ability to subscribe to full HD magazines. With hundreds of premier publishers – it’s all there, easy to follow, read, and share. In addition, it allows to add own own news channels, for instance from RSS feeds or Google Play Currents. Google has announced Google Translate is to launch a new Google Translate app for Android. The app is now featuring faster and simpler speech translations, additional language support and a sleek new look. Google Translate for Android works as before, all it needs is to open the Translate app and press the microphone icon. Google has also added gesture support now, so with a simple turn of the screen, it’s possible to switch back and forth between languages. Google‘s security engineer Dan Dulay announced that the tech giant has successfully upgraded all its SSL certificates to the longer 2048-bit RSA. Google has sought to strengthen its SSL certificates by switching from 1024-bit to 2048-bit RSA keys. Doubling the key length will, hopefully, make it much harder to crack the encryption of sensitive data such as banking transactions, email, and others. The company announced in May that it has started the migration and expects to finish by the end of the year. It seems that Google has managed to finish earlier and will now start the next phase, that of issuing 2048-bit certificates for its websites and online services.